I am trying to get into the habit of showing you the colored image first before making it into a card because... the colored image itself is just so awesome! lol But then again... maybe it's just me... but I still want to get into the habit of showing you the colored image first though. Isn't it just awesome?!? One of the reasons I wanted to show it to you before I made it into a card but I think you can still get an idea. First, let me tell you about the card and then I'll tell you how I made "the magic". lol ;) I did use card stock and printed paper from my stash... and it wasn't just any old card stock and printed paper... they were SCRAPS! How fitting! lol The sentiment is from a clear stamp set, Formal Phrases at Raisin Boat (RB). 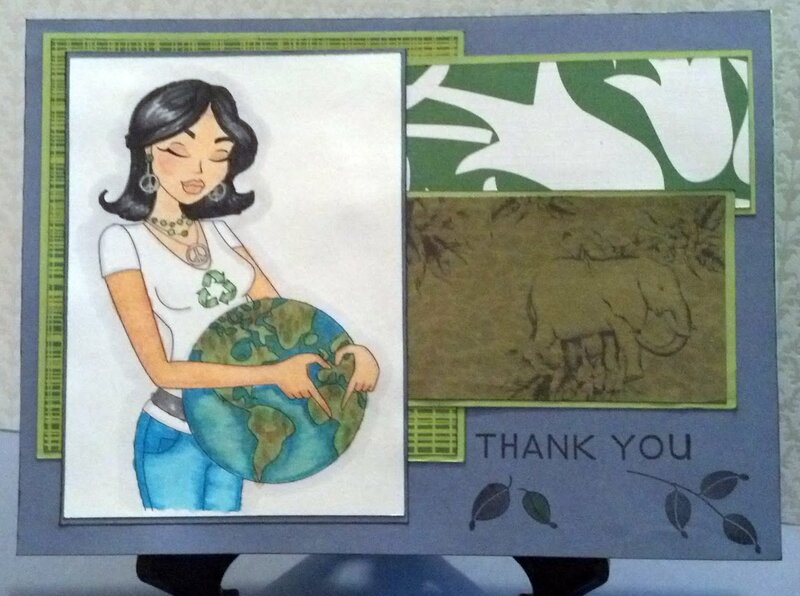 I used leaves from RB's Go Green stamp set as well. Beautifully done, your coloring is fab, especially that black hair! Love the way you colored the earth, too. Thanks for joining us at SSD this week. Fab love your colouring on the image and the over all design of your card is fab the colours you have used I love. This is amazing! I love how you colored her!!!! 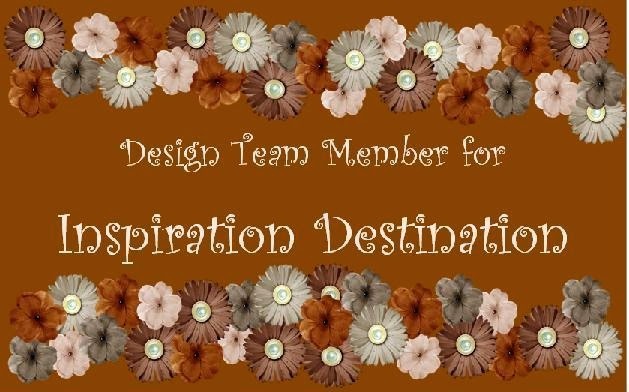 Thank you so much for joining us at Sassy Studio Designs for this weeks DTBST.